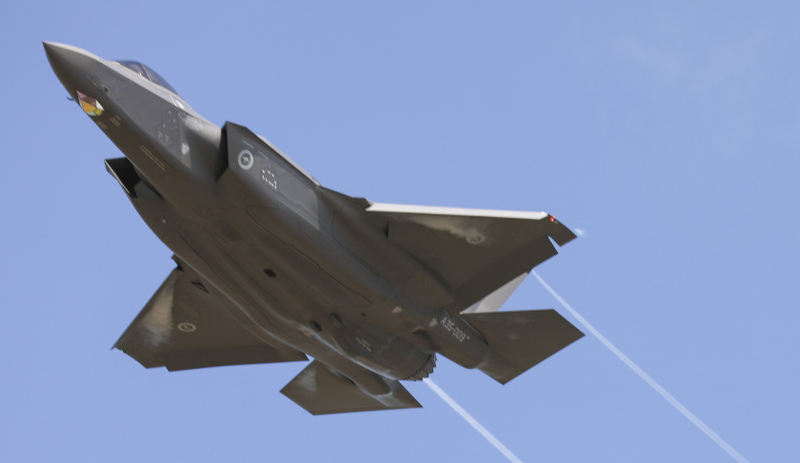 Following another Pentagon report raising concerns about the capability of the F-35, Lockheed Martin has responded to reassure operators like the RAAF. From its inception, the Joint Strike Fighter program has been plagued by problems, with the successful design, the Lockheed Martin F-35, frequently serving as a lightning rod with concerns about operational capability and aerodynamic performance, air frame corrosion and service life, low observability performance, and cyber espionage identified by uniformed personnel, academics and industry pundits. The service life of the F-35B variants adopted by the US Marines, UK Royal Navy and Royal Air Force and recently announced by the Japanese Maritime Self-Defense Force (JMSDF) "may be as low as 2,100 [hours]", a significant shortfall of the expected service life of 8,000 hours. "Interim reliability and field maintenance metrics to meeting planned 80 per cent goal not being met", resulting in fewer aircraft being available to train translating in reduced readiness levels for pilots. Cyber security testing raised concerns about a number of vulnerabilities that "still have not been remedied", raising concerns given the growing concerns about complex, state-backed cyber attacks. US Air Force testing highlighted "unacceptable" accuracy when the F-35 was used in air-to-ground attack roles. In response to these concerns, original equipment manufacturer (OEM) Lockheed Martin has responded to reassure operators of the F-35 and to correct the record yet again. A Lockheed Martin spokesperson told Defence Connect, "The F-35s operating today are delivering exceptional capability, lethality and connectivity around the globe. While we await the full details of the ongoing operational test phase, we are actively enhancing all aspects of the F-35 to ensure it exceeds warfighter demands and outpaces evolving threats." F-35B service life: The F-35B has completed full scale durability testing to 16,000 hours. Planned modifications and fleet management of the early contract F-35B aircraft will ensure that they meet the 8,000-hour service life requirement, and aircraft delivering today incorporate these design changes in the build process to ensure they’ll meet 8,000 hours or more. F-35 reliability: The F-35 weapons system reliability continues to improve and all variants of the F-35 are currently exceeding nearly all reliability specifications at this point on the maturity growth curve. With enhanced reliability, newer aircraft are now averaging greater than 60 per cent mission capable rates with some operational squadrons near 70 per cent. Cyber security: Lockheed Martin has made significant investments in countering cyber security threats and remains confident in the integrity of its robust, multi-layered information systems security. Safeguarding the F-35 enterprise against the continually evolving cyber threat is foundational to the F-35 program and Lockheed is constantly monitoring, assessing and improving its cyber security posture across all spectrums of the program. Regarding concerns about aircraft readiness, the Lockheed Martin spokesperson told Defence Connect, "As we deliver more low rate initial production (LRIP) 11 and beyond aircraft, and as the earliest lot aircraft are upgraded as planned, we expect readiness rates to significantly increase and operating costs to decline. In addition, we’re also leveraging data across hundreds of thousands of flight hours to identify and invest in the biggest drivers to improve performance, which will enable us to achieve the DoD’s 80 per cent mission capable rate goal across tactical fighters." Lockheed Martin also sought to respond to concerns regarding cyber security and the data integrity, through continued investment in the F-35's Autonomic Logistics Information System (ALIS) aimed at delivering improved data integrity, improved user experience and interface, combined with the robotic automation used to lower maintenance labour. "We’ve reduced the Lockheed Martin portion of the F-35’s cost per tail per year (CpTpY) three years in a row and by about 15 per cent since 2015. We fully expect to reduce the F-35’s CpTpY and cost per flight hour (CPFH) to be equal to or less than the cost of fourth-gen fighters, just as we have demonstrated in production cost reduction," the Lockheed Martin spokesperson told Defence Connect.